I am not going to beat a dead horse by continuing to blog about closet organization since I have already shown you two transformations this year in other posts. The first post, called Get Organized, was pubished in January and the second one, called I Can See Clearly Now, was published in May. 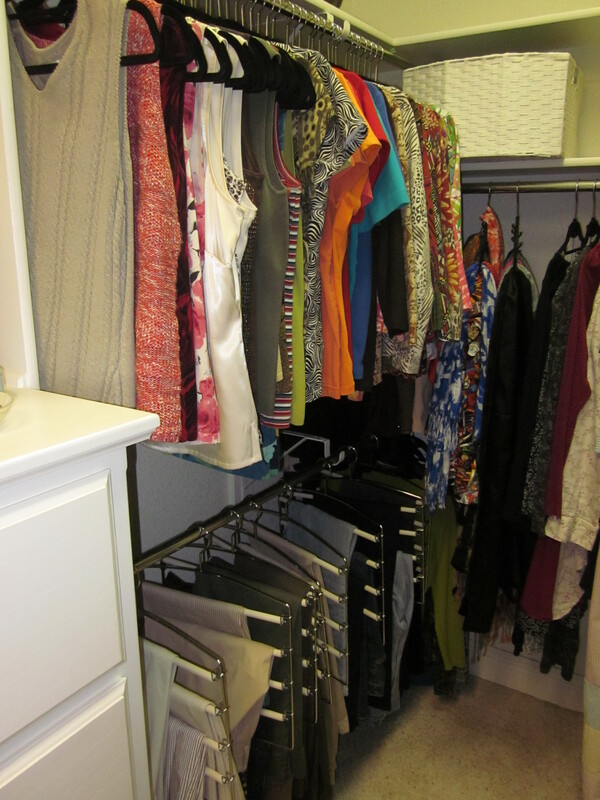 However, I could not resist the urge to at least show you the photos from my mom’s recent closet transformation. I showed you how her shoe shelves were vastly improved in May’s post, but now see what happened to the rest of her closet. 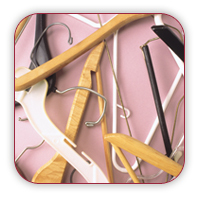 All this involved was a simple change of hangers and the use of a large storage bin or two for the extra pieces on the upper shelf of her closet. 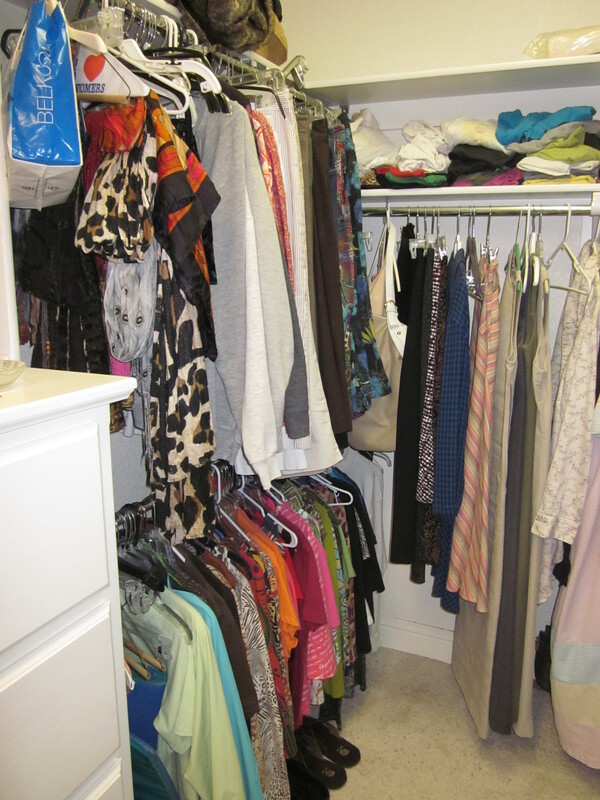 Voila, within a couple of hours, she had a closet she loves going into and a closet that makes getting ready for the day fast and easy. If this appeals to you, don’t hesitate to call me to help you do it in your own closet. For larger organization projects, I know a couple of great professional organizers, and I am happy to share their information with you. Love your blog (but not the opening line of this one) 😉 Thanks Bethany!